The Alabama Department of Forensic Sciences Drug Chemistry Discipline operates in five laboratory locations to include: Huntsville, Birmingham/Hoover, Montgomery, Auburn, and Mobile. The Drug Chemistry Discipline is charged with the mission of identifying the presence or absence of controlled substances and precursor chemicals used in the manufacture of illegal drugs. To accomplish this mission the drug chemistry section utilizes a variety of extraction methodologies and analytical instruments. Evidence submission types include, but are not limited to, powders, plant materials, crystalline materials, tablets, capsules, and liquids. All evidence submitted for drug analysis should be dry prior to final packaging and submission to the laboratory. Fresh (wet) plant material/mushrooms should be air dried and packaged in paper containers prior to submission. Wet plant material results in moldy or decomposed evidence which is usually not analyzed. Whole plants must be loosely packaged in cardboard boxes or paper bags. Tightly packed whole plants will continue to generate heat due to microbial activity. 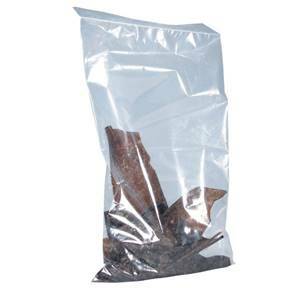 Samples expected of containing Khat must be stored frozen. This particular plant material is heat sensitive and the controlled substance breaks down quickly over time. Acceptable evidence packaging includes sealed envelopes, paper bags, plastic evidence bags, cardboard boxes, glass vials in Nalgene bottles placed in an outer evidence container, and puncture proof containers for syringes. All evidence submissions must be accompanied by a legible ADFS submission form. Due to health concerns, the ADFS Forensic Sciences laboratory will not accept hypodermic needles, razor blades or other items capable of puncturing the skin, unless the importance of such evidence can be demonstrated and approval is granted on a case-by-case basis by the Drug Chemistry Section Chief, Drug Chemistry Discipline Chief or Laboratory Director. If approval is granted, safety hazards such as hypodermic needles and items with sharp edges (such as razor blades, broken glass, etc.) will not be accepted unless properly packaged and labeled as a biohazard. Drug evidence which may have come in contact with biologically hazardous material must be labeled as a biohazard and the nature of the biohazard should be indicated. Fentanyl-related substances have been identified in the following evidence submission types: powders, tablets, capsules, liquids, and blotter papers. This type of evidence is designated as a hazardous material and should not be handled without the appropriate personal protective equipment (nitrile gloves, N-95 dust mask, eye protection, and lab coat). 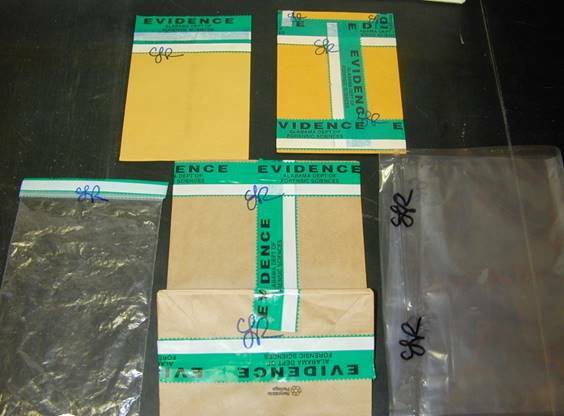 Evidence submissions should be “double bagged” and a notation made on the outer evidence packaging and the submission form that indicate the item is a suspected fentanyl analog. Large containers or large quantities of liquids/materials will not be accepted from clandestine laboratories except in unusual circumstances (as determined by the Drug Chemistry Section Chief and/ or Laboratory Director). Samples will only be accepted in proper leak proof containers. Proper leak proof containers include liquid samples placed in individual sealed glass vials which are then further secured in individual sealed Nalgene type plastic bottles. If in doubt of the suitability of an evidence container, it may be necessary for some liquid samples to be placed in heat sealed plastic bags prior to analysis. At an analyst’s discretion and time permitting, samples may be taken from large containers brought to the laboratory. The samples will serve as the evidence submission and the containers will be returned immediately to the submitting officer. Red Phosphorous and Iodine will not be accepted into the laboratory. They are hazardous in nature, constitute a storage problem and are not specifically listed in State Law as a controlled substance or a precursor. Samples of anhydrous ammonia will not be accepted into the laboratory for analysis. Only submit items that need analysis. For example, items such as rolling papers, paraphernalia with no residue, personal belongings, and field test kits do not need to be submitted for analysis. A proper Seal is a seal that prevents loss, cross transfer, or contamination while ensuring that attempted entry into the container is detectable. A proper seal may include a heat seal, tape seal, or a lock. 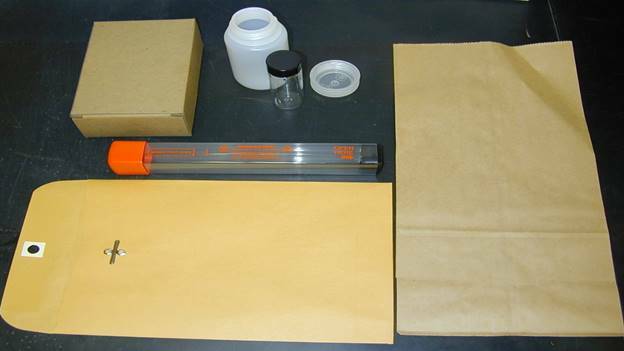 Methods of sealing evidence can include, but is not limited to, the use of evidence tape, heat seals, manufactured gum seals, and plastic shipping tape (only on paper evidence containers). Note: Use of plastic tape on plastic bags or containers does not meet this requirement. Additionally, the initials or other identification of the person creating the seal shall be placed on the seal or across the seal onto the container when possible. 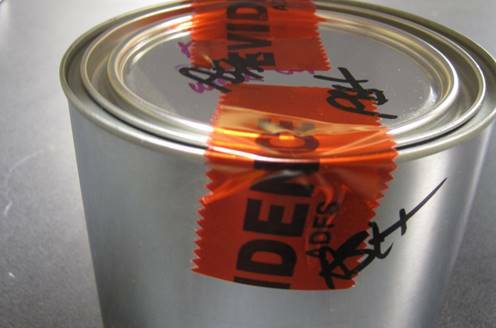 All outer evidence containers must be sealed in a manner that would allow the analysts to readily recognize any tampering (i.e., clear plastic tape, evidence tape or heat sealing). 1. Number of items analyzed achieved sufficient weight to meet a trafficking charge. 2. 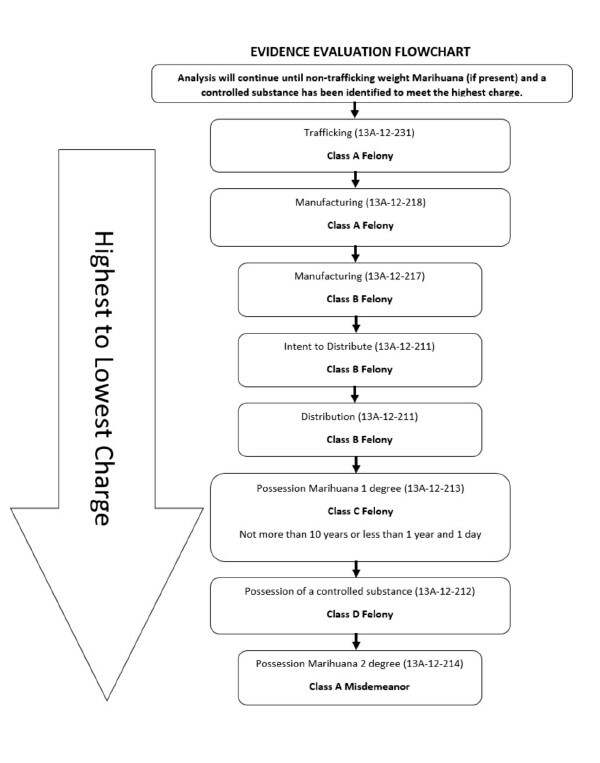 Items analyzed revealed the elements to meet a manufacturing charge. 3. Number of items analyzed achieved sufficient weight to meet an intent to distribute charge. 4. At least one item of non-trafficking weight marihuana (if present) and a controlled substance (if present) is identified. See Note. 5. A controlled substance (if present) is identified. See Note. Note: Using the reasonable person standard, select the item that best represents a danger to the public, whether that be by schedule or quantity. To expedite case processing times, each item of evidence must be individually packaged and labeled with a brief description of evidence to include suspected analyte and count of contents (ex. 2 bags of suspected cocaine, 34 suspected hydrocodone tablets, etc…). Each item will be evaluated according to the information on the evidence container. Only the item(s) selected for testing will be opened by ADFS personnel. Deviations that require more than one controlled substance to be tested must be submitted as separate cases. When items are distinctly attributed to individuals in a case, the suspect and the corresponding item(s) should be submitted as separate cases. 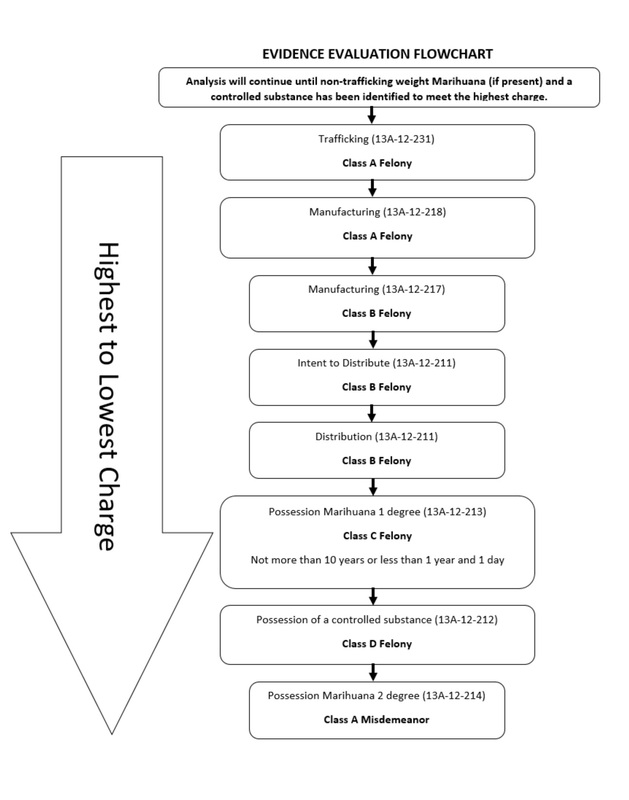 ADFS reports cases in accordance to the Code of Alabama; cases that require analyses to meet federal sentencing guidelines should be submitted to the nearest federal laboratory facility for analyses. If at any time there are questions about the above policies, please do not hesitate to contact our offices. The Alabama Department of Forensic Sciences Fire Debris section of the Chemistry Discipline operates in one laboratory location to include: Birmingham/Hoover. The Fire Debris section is charged with the mission of identifying the presence or absence of ignitable liquids. To accomplish this mission the fire debris section utilizes a variety of extraction methodologies and analytical instruments. Evidence submission types include, but are not limited to, liquids, carpets, burned debris, wood, plastic, and fabrics. Arson must be regarded as a possible, if not probable, cause of every fire investigated. The value of physical evidence depends upon the proper documentation, collection, and preservation of the evidence from the time of its initial discovery and collection to its subsequent examination and analyses. Movement or collection of the physical evidence should be avoided until the item has been photographed and documented as to location. Documentation can best be accomplished through notes at the scene, written reports, sketches, and diagrams with accurate measurements and photography. The diagramming and photography should always be completed before the physical evidence is moved or disturbed. 1. Ignitable liquid samples - When a liquid sample is found at the scene, a sample of the liquid should be submitted for analysis. Ignitable liquids found at the scene (charcoal starters, etc.) should be collected for comparison standards. 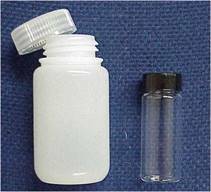 The liquid should be collected in a small vial with screw-on caps made of phenolic resin, polyethylene, or Teflon. Sterile cotton balls or gauze pads may be used to adsorb the liquid sample if a vial is not available. The cotton balls or gauze pads are subsequently sealed in a new, unused metal paint can. An unused sample of cotton balls or gauze pads should be submitted to the laboratory for comparison. Never submit more than a half of cup of liquid to the laboratory for analysis. 2. Ignitable liquids absorbed on porous materials - Ignitable liquids may be trapped in porous materials such as a concrete floor. If the concrete floor can not be removed, an absorbent material such as lime or flour may be spread over the area, allowed to stand for 20-30 minutes and then collected for analyses. Clean tools and containers for the recovery step must be used since the absorbent may be easily contaminated. A sample of the unused absorbent should be preserved for analysis as a comparison sample. 3. Ignitable liquids absorbed by solid materials - Ignitable liquids may be absorbed by solid materials at the fire scene. A few examples of solid materials that may be collected at the fire scene are: wood, carpet, carpet padding, furniture, concrete, cloth material, clothing, shoes, etc. 4.Soil - Soil samples should be submitted to the laboratory as soon as possible. Bacteria in soil can “eat” petroleum-based products. It has been our experience that positive samples after six weeks of storage were negative for petroleum-based product. Note: Collection of physical evidence after the fire scene has been released requires a search warrant. DO NOT use plastic bags since ignitable liquids will pass out through the plastic, and never use paper bags or envelopes. 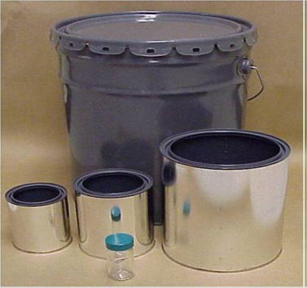 New, unused metal paint cans are recommended for the collection of fire debris evidence. The metal paint cans should be unlined or lined with a latex liner. Those cans with a clear or yellow lacquer type lining are not used, as they may cause contamination during laboratory extraction procedures. DO NOT overfill, metal cans should not be more than 2/3 full. There must be enough headspace above the fire debris sample for extraction. Clothing collected from a suspect (s) should be placed in one-gallon metal cans, five-gallon metal cans, or nylon bags. Usually only one item of clothing (shirt, pants, etc.) will fit in a one-gallon metal can. DO NOT overstuff the cans with several items or one large item. A gallon metal can will hold one shoe up to a men’s size 13 athletic shoe. It may be necessary to cut a large item of clothing and place in two or more gallon metal cans if a five-gallon metal can is not available. Minimum information of the container should include the victim’s and/or suspect’s name, the investigator’s name, the date and time of the fire, the date and time the evidence was collected, the specific area the evidence was collected, a description of the physical evidence, and a brief history of the case. Establish and maintain access to the scene. Wear clean, protective outer garments. Use clean disposable gloves for collecting items of evidence. Place evidence into clean, unused metal cans. New gloves or bags must be used during the collection of each subsequent item. Use clean tools for collecting evidence from different locations within a scene. Dishwashing detergents such as Dawn can be used for cleaning the instruments and tools between collection of each sample. Store and ship evidence in separate packages according to case number. Package liquid samples separately from other evidence. Notes: DO NOT place gloves or bags in the evidence container with the physical evidence. Methods of sealing evidence can include, but is not limited to, the use of evidence tape and heat seals. Note: Use of plastic tape on plastic bags or containers does not meet this requirement. The value of physical evidence depends upon the investigator’s effort’s to maintain the security and integrity of the physical evidence from the time of its initial discovery and collection to its subsequent submission of the laboratory for analyses. Physical evidence should be stored in a secured location that is designed and designated for that purpose. Hand delivery- preferred within a 100-mile radius of the Birmingham lab. All evidence submitted must have a completed Alabama Department of Forensic Sciences evidence submission form. All evidence other than hand-delivered submissions should require signature confirmation of delivery.